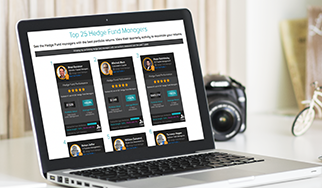 To discover the top 25 analysts for your investing strategy: First select the type of stocks you are looking for. TipRanks enables you to screen from any or all of 8 primary sectors (Tech, Healthcare, Financial, Services, Consumer Goods, Industrial Goods, Basic Materials, Utilities or simply choose the All Sectors option). Now adjust your selections based on the analyst’s performance. Set filters to measure them against standard benchmarks, including the S&P 500 or their primary index sector. Are you a short-term investor? Longer term, maybe a year or two? TipRanks automatically measures stock performance over a one-year time period, starting from the recommendation date. You can adjust the period to find out who the best-performing analysts are over four different investment time spans to better find the right ideas for you. The result: the top 25 analysts for your investing criteria displayed as below. These are the analysts you should follow to give your portfolio an investing edge. From this snapshot of the analyst’s performance you can determine two crucial facts- how often the expert’s recommendations were profitable and the average profit you would have made if you had followed the expert’s buy and sell recommendations since 2009. For example, the screenshot above shows that, at the time of writing, RBC Capital’s financial analyst Gerard Cassidy is the best-rated analyst on TipRanks. 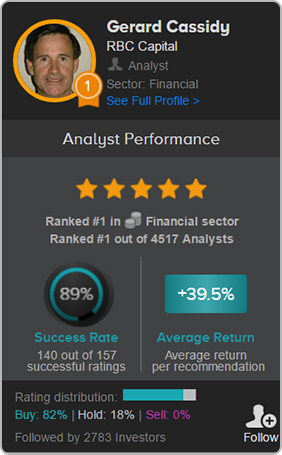 He boasts an impressive 89% success rate and 39.5% average return. Go to the ‘see full profile’ link to get the analyst’s full stock coverage. 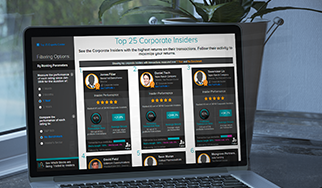 Cut the clutter: follow the top ranked analysts to receive only the very best and most up-todate stock advice. Click the small head logo in the right-hand corner of the box to receive instant alerts of new stock ratings from that analyst. Have a question about the Tipranks Top 25 Analysts?